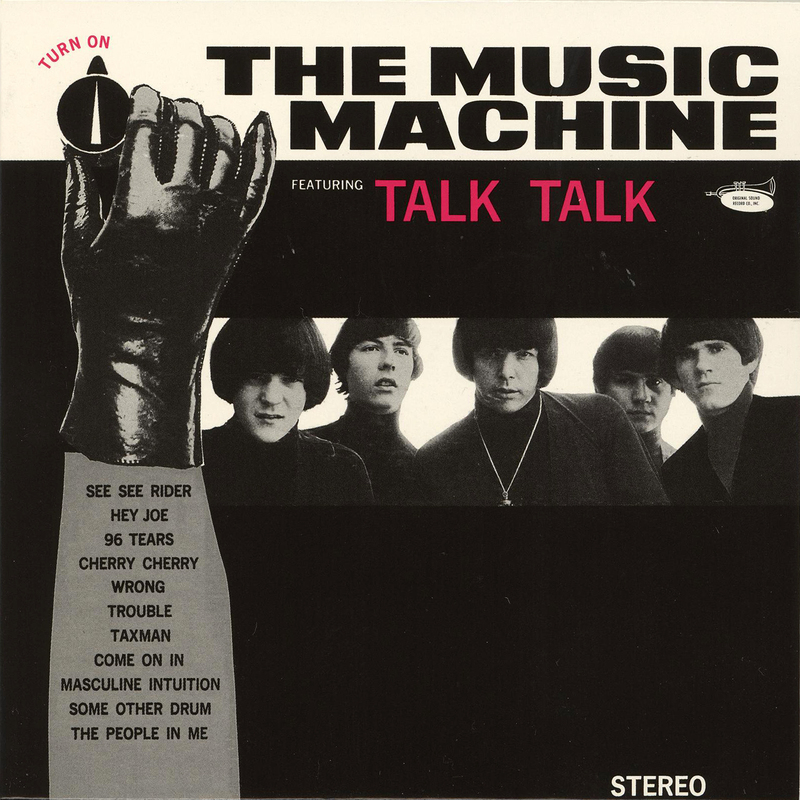 "The Music Machine" was an American garage and psychedelic rock band that was active between 1965 and 1969. In 1966 the band released their debut album, "Turn On". This album contains all 12 tracks including their two chart singles, "Talk Talk" (charted at #15 on the Billboard Hot 100) and "The People in Me," plus both sides of both of their third and fourth singles, "Double Yellow Line"/"Absolutely Positive" and "I've Loved You"/"The Eagle Never Hunts the Fly." Five cover songs were included on this release, due to record company pressure. "Hey Joe" is slowed right down, unlike the versions by L.A. contemporaries like the "Byrds", "The Leaves" and "Love", who dashed their way through the song. "The Music Machine" had used this arrangement throughout their live career, and their transformation of the song into a moody, brooding piece predated the release of the "Jimi Hendrix" version. Yuya Uchida & The Flowers - Challenge!